Interview with Ajay Jayaram: "Winning All-England Championships is my biggest goal"
Indian shuttler Ajay Jayaram says that he is mentally tougher and more aggressive, having made a comeback from a series of injuries towards the end of 2015. The 28-year-old shuttler reached his maiden Super Series final at the Korea open and then won the Dutch Open in 2015. 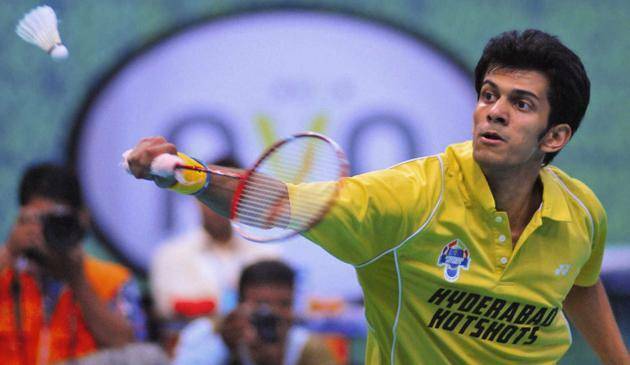 Jayaram failed to qualify for the 2012 London Olympics, losing the berth to Parupalli Kashyap at the last moment. The 2016 Rio Olympics are his chance to make his Olympic dreams come true. “I am trying to focus on every tournament and not thinking too much just about Rio. Yes, it is difficult to keep it completely out of mind but taking one tournament at a time and getting better and consistent results is the right way to look at it. The best part is this time I have better results behind me and that is a big factor. In the next few months, I have to make the right balance in the number of tournaments and finding time to train,” he said. Jayaram has won both the matches he played in the PBL so far. Asked about how his game changed, the badminton ace said, “In my head I am very much there. The main thing is playing in that level consistently. I have struggled (but) I have to keep fighting and hopefully stabilise this year.” He also added that the PBL wins have given him the confidence to look forward to the upcoming Malaysia GP and India GP.